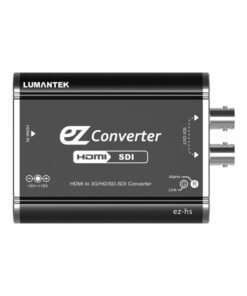 With the Lumantek ex-SHV+ 3G-SDI converter you can easily monitor in/output resolution, cable length and eye-pattern at once. 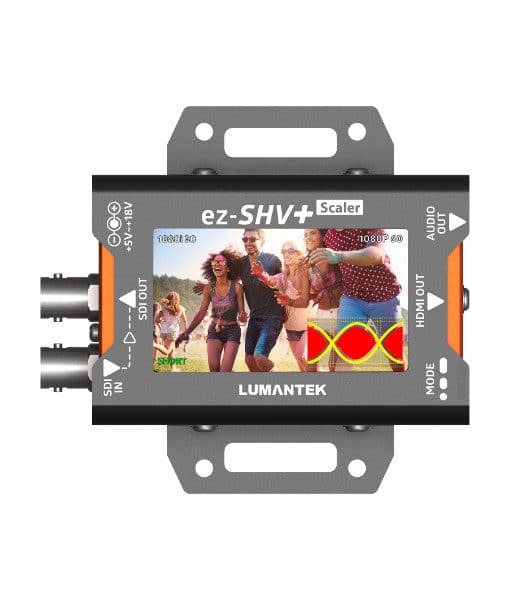 Lumantek’s ez-SHV+ has a SDI LOOP output. Through the LCD screen, you can monitor incoming video. By using the ‘dip switch’, you can select the resolution from 480i to 1080p. You can also control the LCD Brightness and screen ratio. 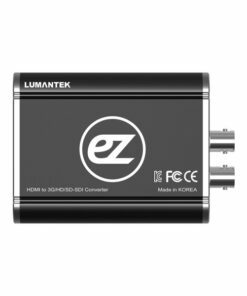 You can easy to monitor in/output resolution, cable length and eye-pattern at once. 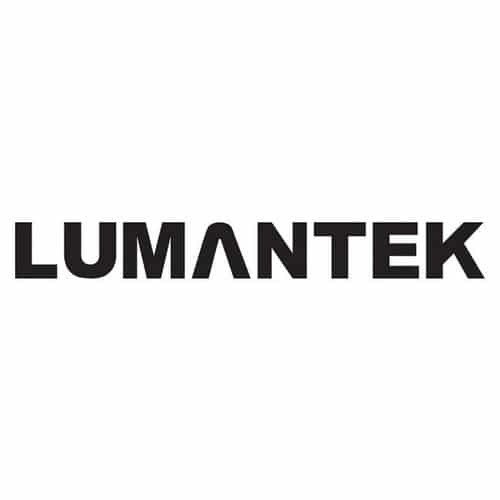 LUMANTEK’s ez-SHV+ has a SDI LOOP output. Through the LCD screen, you can monitor incoming video. By using the ‘dip switch’, you can select the resolution from 480i to 1080p. You can also control the LCD Brightness and screen ratio. The Maximum power consumption of ez-SHV+ is less than 3 watts. Acceptable voltage ranges from 5v ~ 18v giving the user more flexibility while connecting electricity. 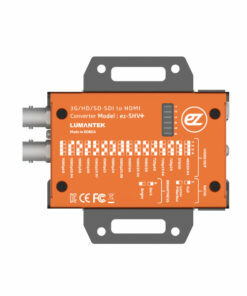 ez-SHV+ has a wall mount option. You can alternative choose to set up at wall or not by changing side bracket. ez-SHV+ detects cable length automatically up to 190 m at 3G-SDI. Cable length will be shown as ‘SHORT’, ‘MEDIUM’ and ‘LONG’.